At the same time an approach that sells itself on offering a far more streamlined mobile web is emerging: first Facebook’s Instant Articles, then Apple News – and now the Google-led consortium developing Accelerated Mobile Pages (AMP). AMP frames the problem with mobile adverts as one of speed. Whereas an average Web page takes around eight seconds to load, Web pages built with AMP can be so quick as to feel nearly instant – you can even try them out on mobile. In an obvious and useful move, content will load before ads. Google makes a show of having done this, because generally the experience of reading content online still leaves a lot to be desired. And readers, with little patience, will abandon content that takes too long to arrive. It’s no surprise that Google has focused on speed over intrusiveness. After all, the firm is the world’s largest advert broker, relying upon advertising for the vast majority of its income . On the other hand Apple is making good mileage by maintaining a distant, sometimes hostile, stance towards advertisers. In a tirade obviously aimed at Google, Apple boss Tim Cook railed against companies that scour and collect their users’ personal information in order to monetise it. These moves from each of these three tech giants are part of a clean-up operation that’s been seen as necessary by a great number of those working in the online advertising business – including advertisers, agencies, networks, publishers and long-suffering consumers. Even Randall Rothenberg, CEO of the Internet Advertising Bureau, the trade association that represents the digital advertising industry, admitted in an interview with the Wall Street Journal: “We have definitely, definitely over time gummed up the advertising experience and web pages with all kinds of analytics”. So where does this leave the voracious consumer? Google’s head of news and social products Richard Gingras told The Guardian: “This is about making the world wide web great again … to make sure all users can access the vibrant ecosystem of the world wide web and get it in a near instant fashion everywhere in the world.” But this assumes that people use adblockers because of slow-loading web pages. There’s more to it than that. The most reliable figures on adblocking from Pagefair and Adobe reveal that motives for installing adblocking software are mixed. 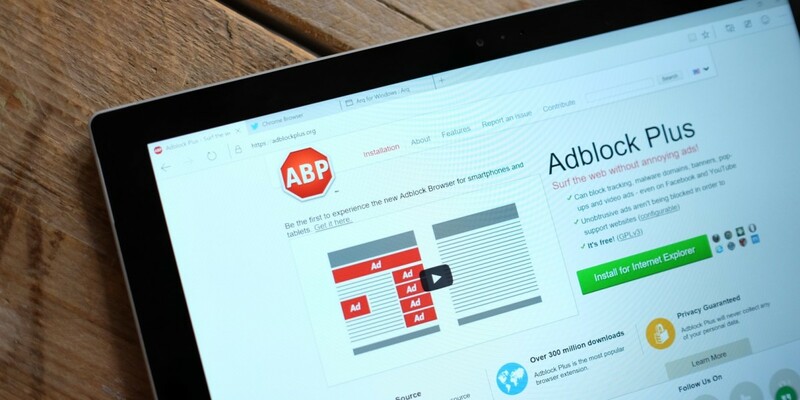 Around 30% of respondents were open to non-intrusive advertising, of the sort that Google, Apple, Facebook and Adblock Plus are seeking to create. However, the majority of respondents (45%) do not want to view any advertising online, while others express privacy concerns (17%) about third-party tracking and the uncomfortable experience of realising that adverts seem to know which websites you’ve visited. Making life doubly difficult for all in the publishing and advertising business, 61% of the same respondents were “completely unwilling” to see ads that support free content. So although the increase in speed will be most welcome, the move towards more streamlined web pages that are light on adverts remains a sticking plaster for the more fundamental problems the online advertising industry faces – not to mention the content publishers that rely upon them.